I have fairies at the bottom of my garden. No, I haven’t lost the plot. Yes, they do look rather like bees, bugs and butterflies. Outwardly at least. But actually, in the reality I have chosen for them, they are fairies. They are creatures of earthly impossibility. Creations, it seems, designed almost to prove that the impossible is possible… and its unlikely realisation a truly magical and beautiful thing. 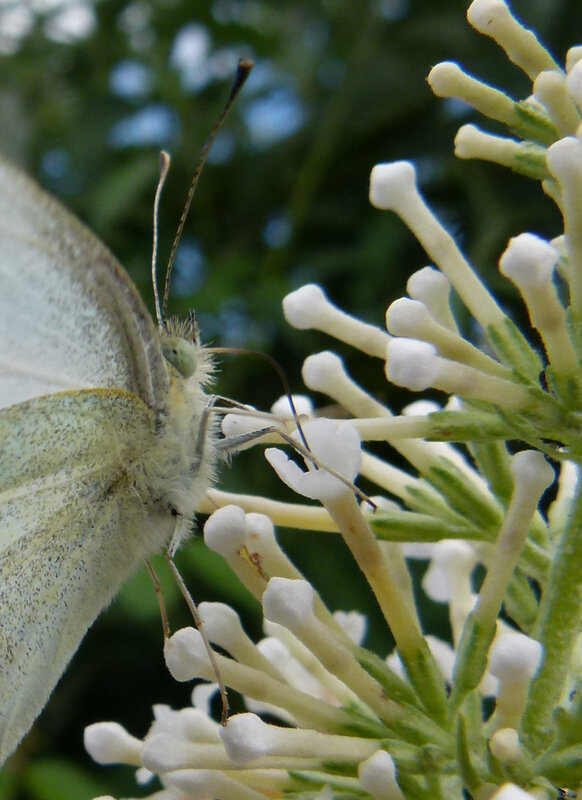 I wrote about butterflies once, how their journey through life, from mobile stomach to beauty incarnate, speaks to me of our own journey and the transformations we undergo as we travel through the changing landscape of the years. You could be forgiven, musing on a summer day, enveloped by the warm-honey fragrance of a buddleia covered in their painted delicacy, for wondering if their mere existence serves a higher purpose… that of simply Being There, to make us think and ponder, to allow us to wonder… or just to celebrate Beauty in life. Bees, now, they are a different kettle of fish. Symbolically they have been of incredible importance to our race throughout history and across the globe. From the symbol of Merovingian kingship to that of the Mother Goddess, from a creature that bridges the worlds to a symbol of industry in this one… we have seen in their lives a reflection of so many facets of our own. They are objects of fear to many people. Irrational, perhaps, but to those with a fear or phobia, that doesn’t matter. The reaction is deep and instinctive. Bees, of course, are armed with a sting, and honey bees will defend their hive…they seldom use it otherwise. But to most of us they are busy little things, critical to the planet’s survival and the pollination of flowers, buzzing through a summer’s day collecting the raw materials of life, and, in the case of honey bees, transforming them into liquid sunlight. 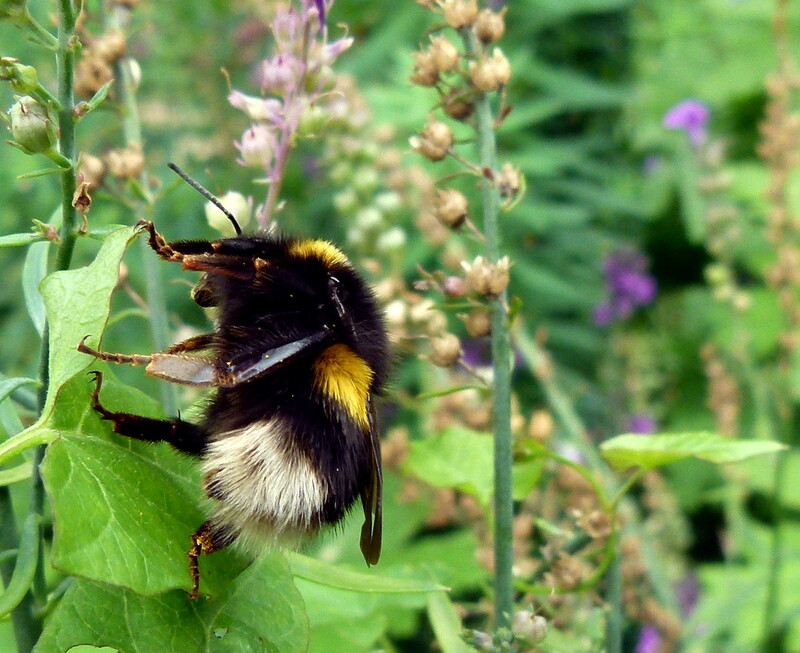 Have you watched the furry little body of a bumblebee struggle to take flight, pouches so heavily laden with its burden that it seems impossible that it can achieve lift off? Yet it does. Have you considered the aerodynamics… or lack of them… of that rotund form and the tiny wings? Have you heard the story that aerodynamically their flight is impossible? It isn’t, of course. How can it be? They fly. I’m no more an aerodynamicist than the majority of us, but even without the equations and ratios it is fairly obvious they shouldn’t be able to fly. Watching them reminds me of the depictions of the bird-men with their homemade wings, flapping in hopeful futility on a cliff edge. Yet these little creatures fly. It is true, you sometimes see them really struggle, so much they have stuffed into their pouches, so heavy the burdens they have chosen to carry, but they fly nonetheless. ‘Efficient’… of course. That’s okay, science says so. Really???? Think about that for a moment. Can you even conceive of ‘200 times a second’? And for a biological organism….for a fellow creature… to operate at this speed? If you are trying to get your mind round this figure… as I did… it is possibly best if I don’t mention the annoying little midges we swat away that beat their wings at over a thousand times a second….…..!!! We are constantly surrounded by concrete fact that we simply accept as the norm, yet a moment to really look at the unthinkable, incredible reality of, say, a neural message in your own body travelling at 120 metres per second as you read this, a mother waking before a child cries several rooms away, the navigation of migrating birds or the oak tree waiting in an acorn… suddenly the world is a place of wonder. If a miracle can be defined as ‘a highly improbable or extraordinary event, development, or accomplishment’ then we are surrounded by them. .. we are even one of them…And for something to be truly impossible it is going to have to try very, very hard…. Great post! I am currently obsessed withe how animals ,plants and insects both land and sea have had to evolve to survive. Nature mesmerises me. I can’t believe how resourceful and skilled life in all it’s forms struggles to adapt and survive. It becomes very difficult to see how all this could have arisen simply by accident, doesn’t it? Yes, I too would like to think a drink of honey helped give them a boost they needed. You can only do so much, the rest is up to them and to nature. I agree with you there, Dermott…though I have my reservations on that opening point 😉 Not all things have to have a demonstrable reality in order to be true. We are, Dermott. And having spent the past two days with a demander of proof… I am more than open to those other realities right now. 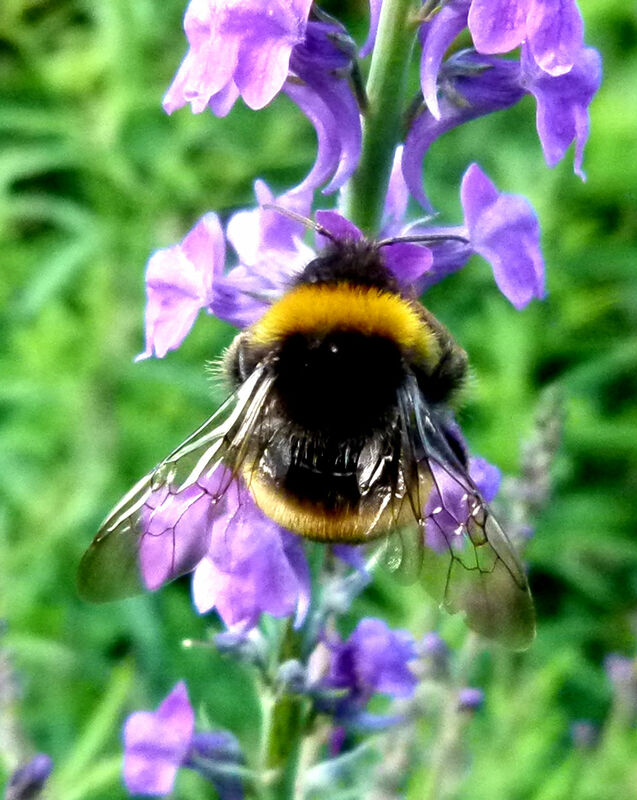 Sue Vincent with the magic that is to be found in a garden that is filled with wonderful flowers and plants.. the bees, butterflies and other creatures who thrive in such an environment.. magical.. head over and see for yourself. 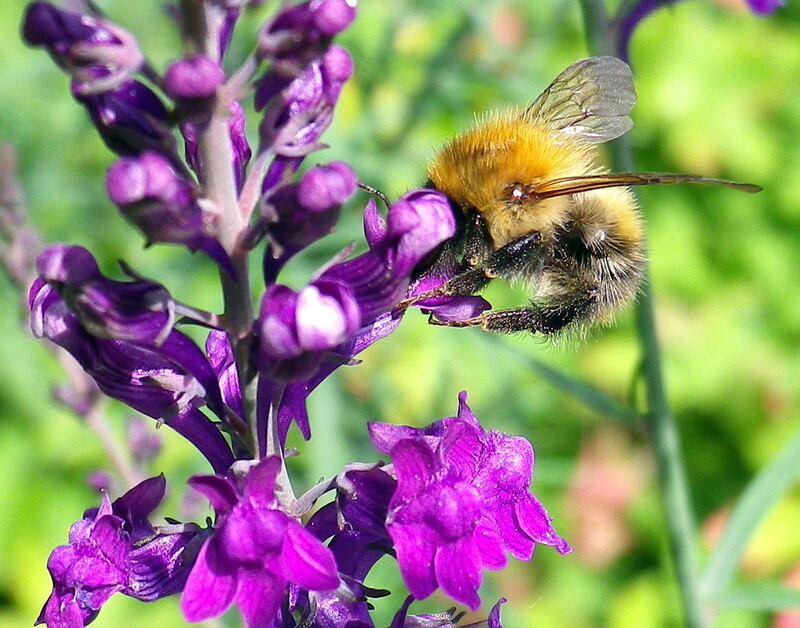 I love bees, butterflies, and other garden visitors all year round. Yesterday a bee came into the kitchen for a rest. He had one leg covered in pollen and was perched on our window trying to get it off with his other legs. I let him rest and he flew off. We have saved exhausted bees by giving them a tiny amount of liquid sugar, this revives them and they can go on their way. 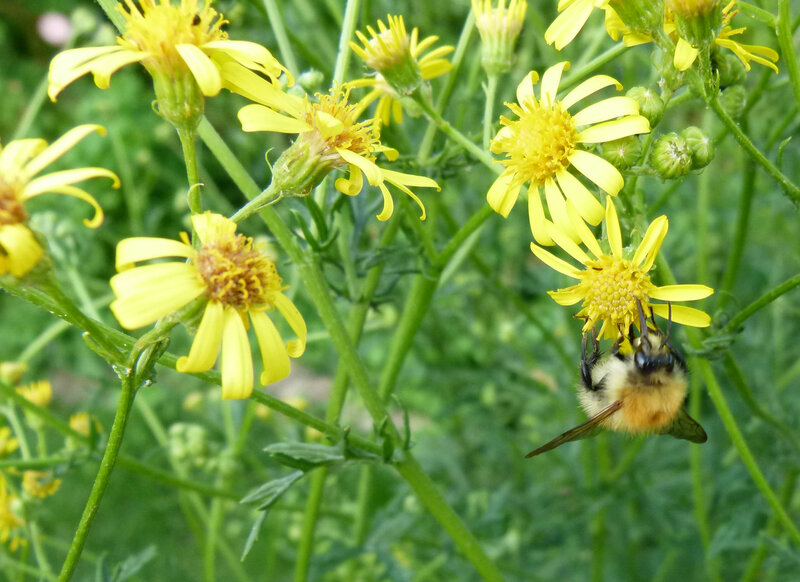 I love bees and find it terribly sad that they are under threat from our way of life. Delightful close-up pictures. Who knew such tiny creatures could be so interesting. Sigh. As I ‘mature’ I appreciate the little things in life so much more. I’ve wasted no much time not living in wonder. ❤ 3 ❤ I guess as youngsters we are too busy looking towards the next BIG thing in our lives. We get so used to them, we stop really seeing them. Most people have no understanding of the magic that takes place inside a flower. I love watching my bees work. They really are magical creatures… I love watching them too.